Tourism Australia has recognised twenty small businesses from across Australia, choosing them to champion Indigenous tourism and making them part of an intensive mentoring and training program. 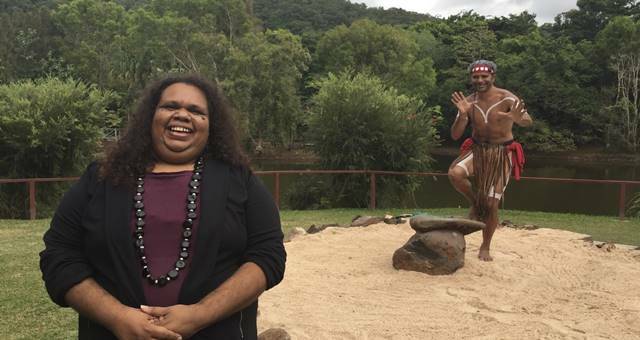 The new program, being run by Tourism Australia and Indigenous Business Australia, was launched at a special tourism trade event in Sydney on December 3rd. “There has been a surge in the development of new indigenous tourism businesses and tourism products,” said Tourism Australia executive general manager marketing, Nick Baker. “The emergence of an authentic, sustainable, top quality range of indigenous travel experiences is absolutely key to Australia’s international tourism image. “We know that many international travellers want to experience Australian indigenous culture first-hand but that it has been a challenge for them to find exactly which tour or camp they could add to their itinerary. “A significant focus of this Indigenous Tourism Champions program will be to work with these businesses to make sure they are properly represented and profiled in the global tourism sales distribution system so that international consumers can easily book them,” Baker said. Chair of Tourism Australia’s Indigenous Tourism Advisory Panel, Aden Ridgeway said the new Indigenous Tourism Champions will be featured in domestic and international tourism promotions with the support of Tourism Australia and Indigenous Business Australia. “The Indigenous Tourism Champions initiative will help to generate unprecedented exposure of our better established Indigenous tourism products, helping to enhance the profile of the entire sector,” he said. “It is expected that by promoting this elite group of operators, the Indigenous tourism sector will provide an additional drawcard for domestic and international visitors interested in travelling to Australia. “By shifting our trade marketing efforts to focus on some of our best performing Indigenous tourism operators we also hope to strengthen relationships with the inbound and wholesale buyers, who sell Australian holidays, and provide an increased incentive for them to include Indigenous experiences on their clients’ itineraries,” said Ridgeway. • RT Tours Australia, NT.